Clubs can be an outlet for people to cope with all the scholastic-induced or work-induced stress. Of course, relieving stress isn’t merely the reason why we hang out in clubs with or without our friends. Just imagine the good music and all the positive vibes that resonate in the club where everyone is all in their pleasant mood. 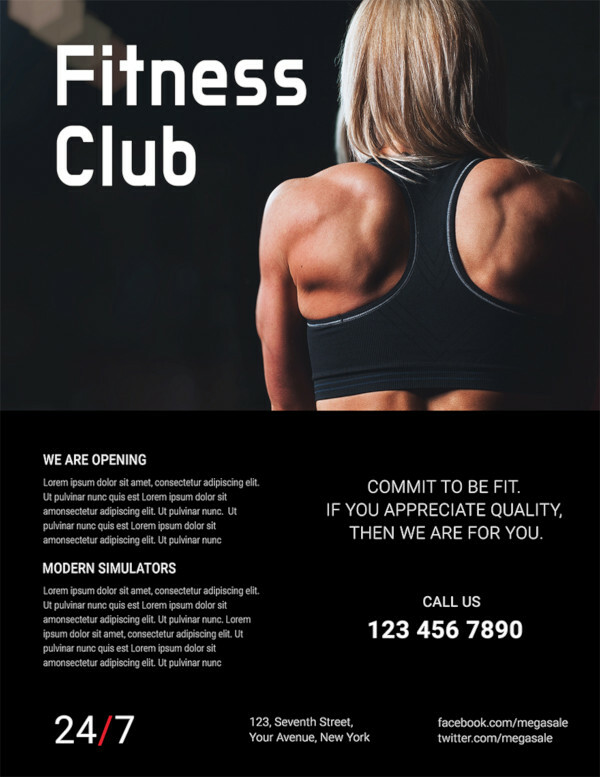 If you are one of the people who finds comfort in clubs, what exactly are the factors in this type of businesses that compels you to visit their clubs? 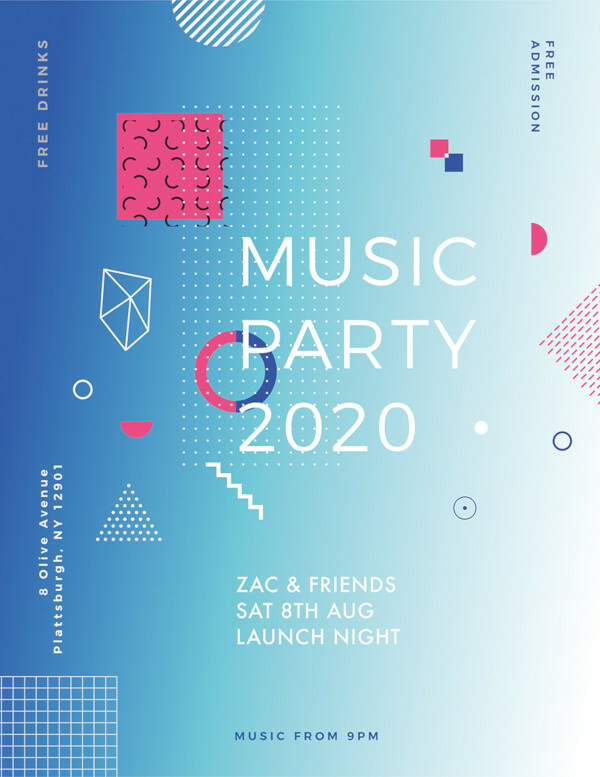 Your reasons might be the DJ’s who have a fancy taste in music or who can relate to the crowd by constantly connecting to them by word of mouth, the types of people who go to that club, or visitor testimonies. Well, that’s just one way to put it. A good marketing approach can immensely increase your club’s profit in no time. 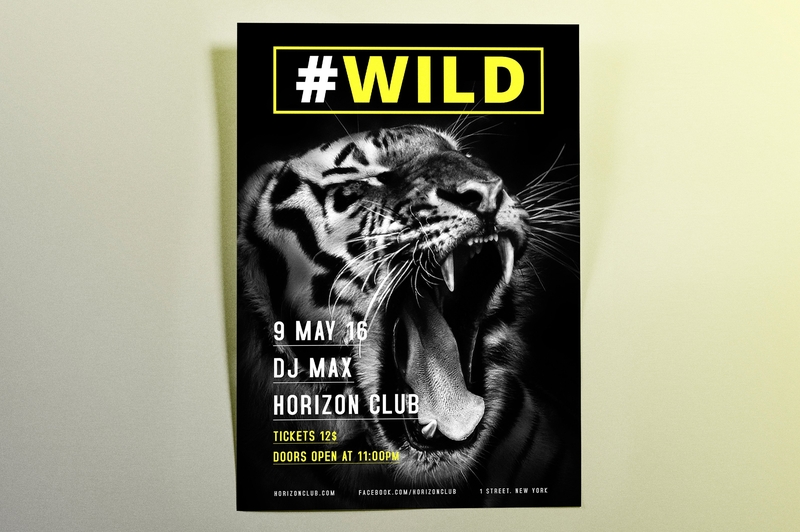 Some of these marketing approaches are the development of business brochures, advertising flyers, business cards, business postcards, and club flyers. These tools might be considered outdated by some businessmen, but there is no denying on their effectiveness in luring prospects. 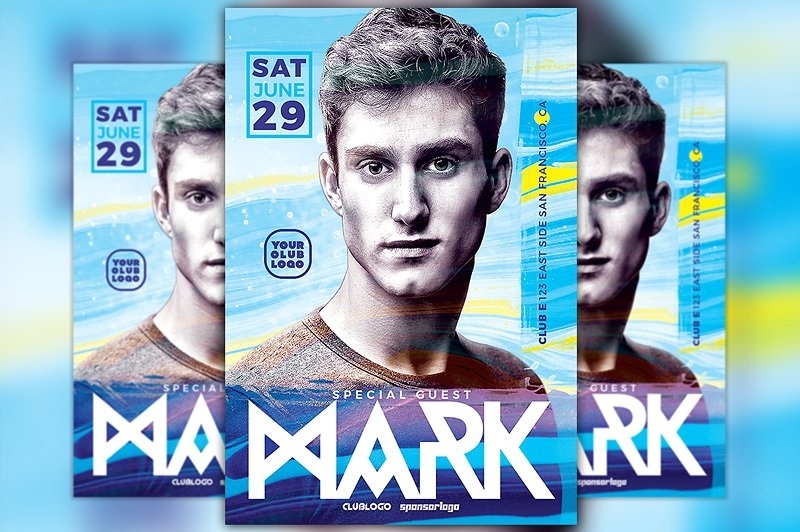 If you are part of a club’s marketing department are not entirely confident about resorting to the development of club flyers, this article will definitely do you good. A section of this article defines the purpose of flyers and any types of businesses can take advantage of these so considered “conventional” business practices. 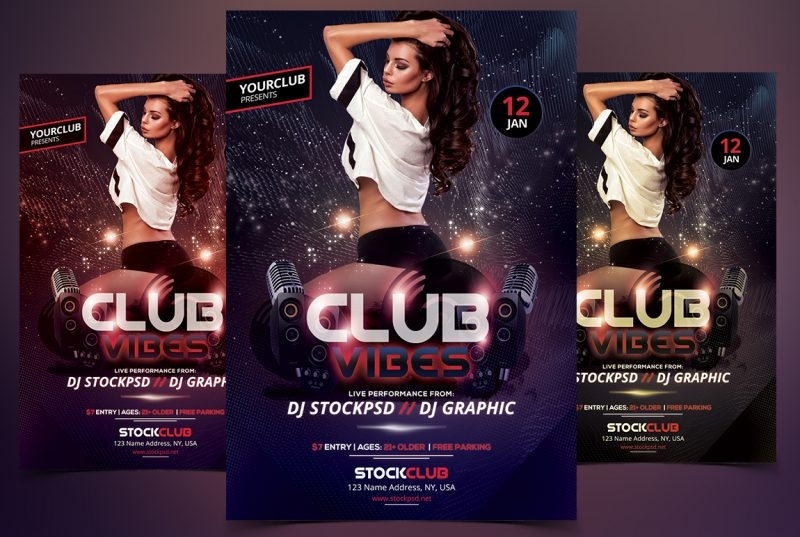 Aside from tips and techniques in developing club flyers that are provided here for your convenience, we also give provide you ten samples of club flyer designs which you may use as references or simply download them at a very affordable rate if the designs satisfy your taste. 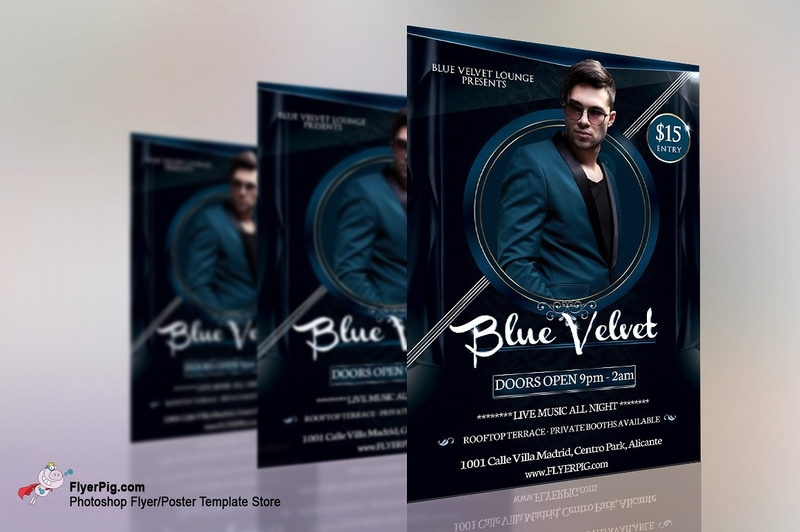 How Does a Business Advance with the Utilization of Flyers? 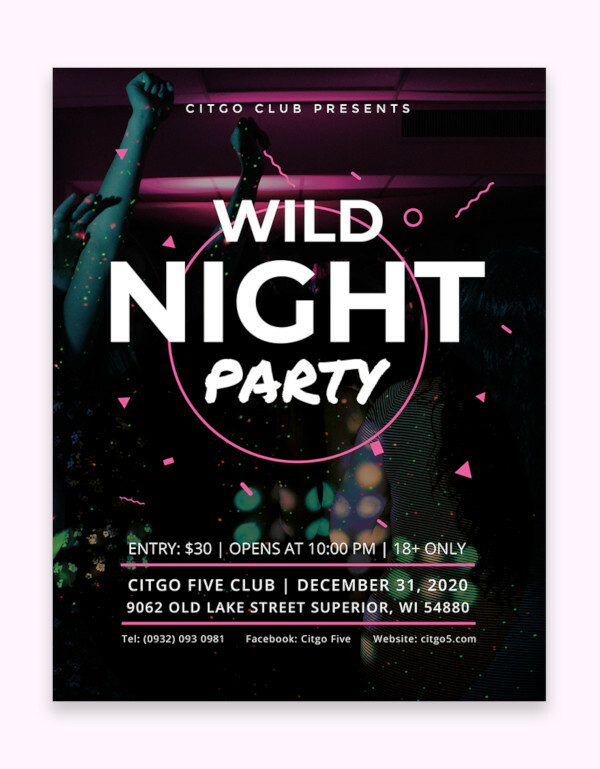 The development of flyers is a good marketing strategy that has outlived many lifetimes of men, yet its worth in the field of business has never seemed to wane. Putting up an argument about how they pale in comparison with digital marketing since digital revolution has impacted different lifestyles greatly. Well, why are these “conventional” business practices still used today? The age of digital revolution has not an only paved way for marketing business products, services, and event digitally. In fact, the development of what other businessmen consider conventional or traditional methods to market a business is affected greatly by the digital age. With the advanced digital software, flyers are no longer the boring leaflets we usually think of in the mention of the word. Matching the software with talent and skills of graphic artists, the position held by flyers in the field of marketing continues to be fortified. 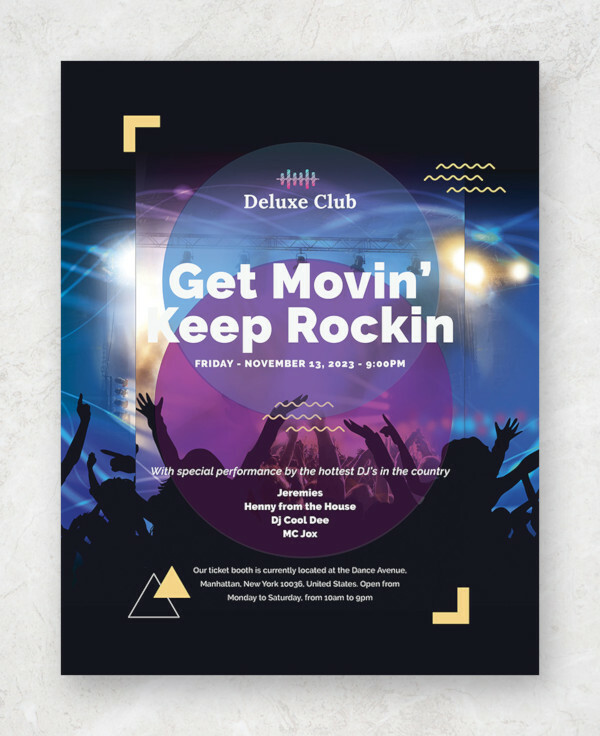 A good flyer captivates the attention of your targeted audience which makes them keep your flyer if this is distributed by people who are assigned to distribute them in public areas like malls. But, when is a flyer considered good, effective, or eye-catching? 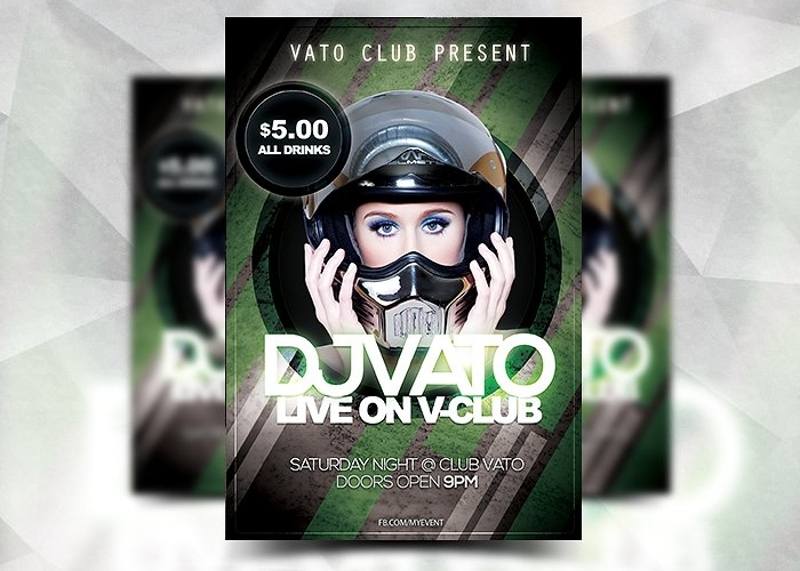 A flyer is considered as such one if the output relates to your targeted audience or stirs their interest. You have probably received various flyers before and know that the business is not worth engaging just by looking at the obvious flaws in the flyer elements. You have to take note that your flyer is not only a marketing strategy that affects only the profit of your business. A contemptible flyer affects the business as a whole. Developing one can definitely inspire the growth of hate comments from your prospects and loyal customers. Needless to say, your company’s reputation is at stake if you are not very wary of the development your flyers. You should know that it’s absolutely hard to win back your customers’ trust or acquiring prospective customers if your stained reputation is all over social media. If you ever manage to win their trust back in the future, you can never entirely make them forget about how you messed things up. 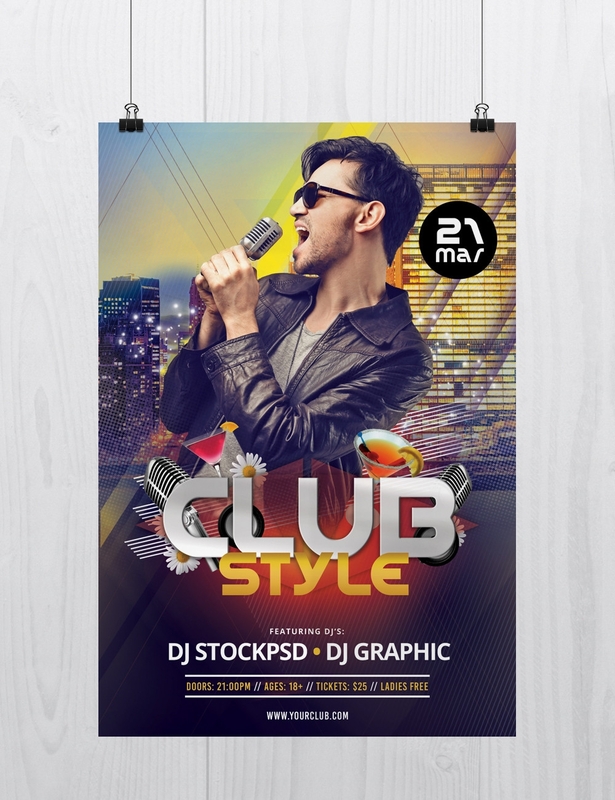 By hiring skilled graphic artists with exemplary graphic artist portfolios and a talented content writer with his or her writing portfolio, creating a club flyer is not going to take so much of a challenge. Of course, you don’t have to rely on their ideas fully. You are their client and it is important you coordinate with them for the team to come up with a commendable output. By doing so, the success rate of what you are going to promote in the market inclines dramatically. For a business to develop well, your focus should not only be in competing for the products and services of your competitors. Rather, you need to complete them as well in their marketing strategies. With the help of flyer production and other leaflets, you can assume that you are a step ahead of your competitors– that is if these are produced effectively. 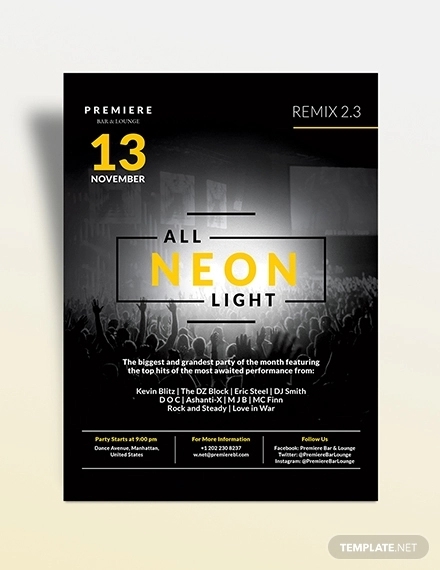 There are certain challenges that will be met in the production of flyers which can be easily overcome through techniques or tips. We are too familiar with all of those challenges and we like to share it with you for you not to encounter the impediments in the development of flyers. 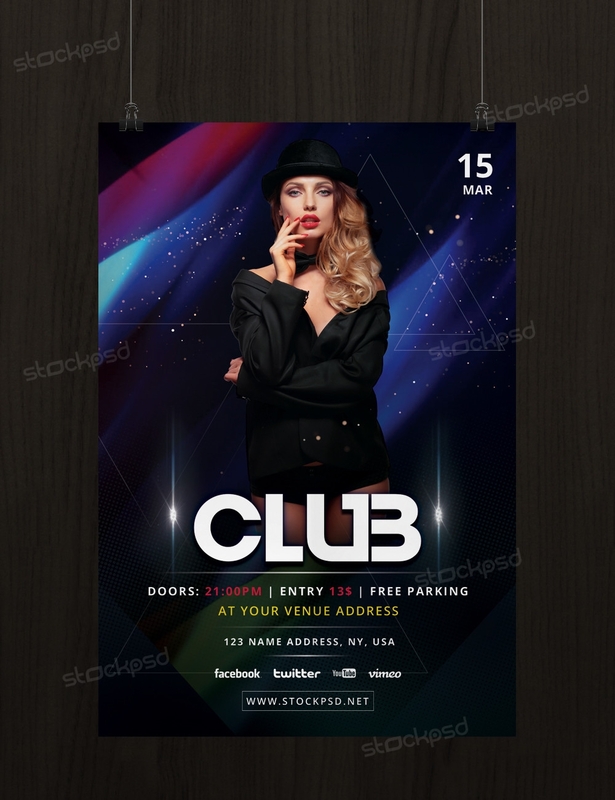 Check the lists of techniques and tips below, and produce an effective club flyer. Gather club flyers. 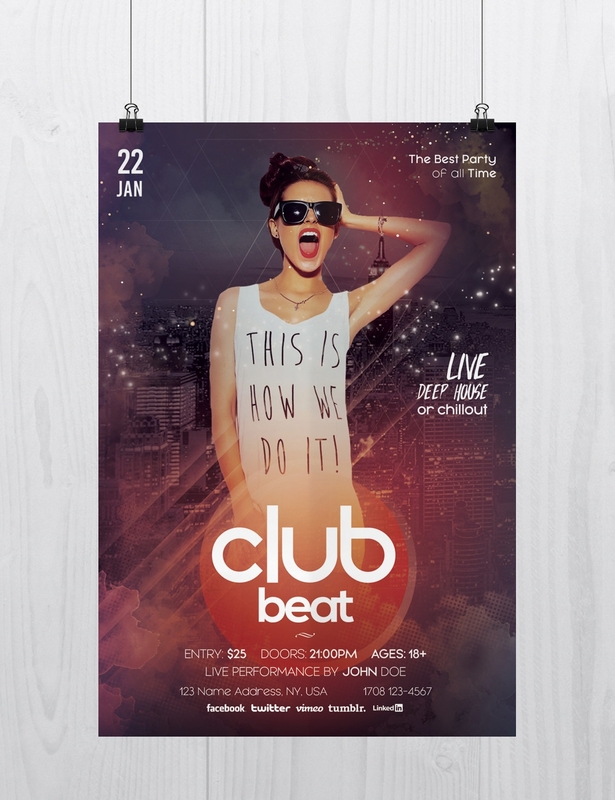 Imagining an output may come as a challenge especially if it’s your first time planning to create a club flyer. 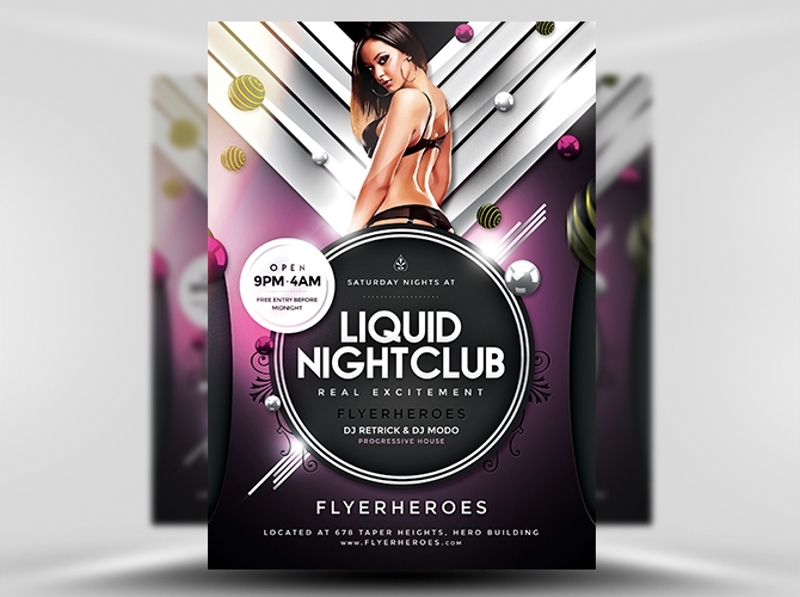 By referring to club flyers you see online or from your competitors, you will naturally breed to ideas that you can use to incorporate into your flyers. 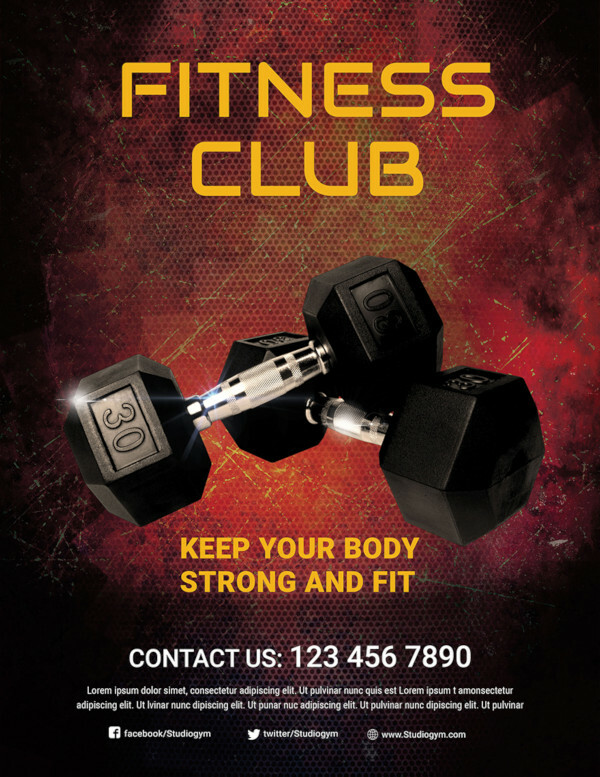 To ensure the effectiveness of your output, refer to the sample club flyers we provide here for you. Study meticulously all the elements in it and how they relate to each other. A good understanding of your company’s objectives can make developing flyers easy. If you know nothing about your company’s objectives, you can completely forget about participating in marketing campaigns. You have to know what the company objectives are to not create ambiguity. When your audience can’t distinguish the objective of your company in the flyer, there is a chance that your company’s credibility will be ambiguous. Business ambiguity is a big no for this makes your targeted audience not want to trust about how your business operates. It is important for you to do a research and understand well your company’s objectives for your content writer to come up with a powerful content. Always remember, you are the client and you have to be certain of how the output should be. Visualize and make a blueprint of your plan. Once you already have an idea about how the flyer would be, make a blueprint of it. By making a blueprint, it would be easier for you to map the possible faults of your output and discover the ways to overcome the possible faults. You have to take into consideration on how the graphic artist and the content writer can coordinate with you fully if your plans only create more ambiguities. You have to know what you really want and be firm on your plans rather than illogically, constantly changing them. When there is a change of plan, you have to make sure that these newly imposed plans are critically thought out to prevent team frustrations. Listen to the advice of the graphic designer and the content writer for you to be aware of the limits. 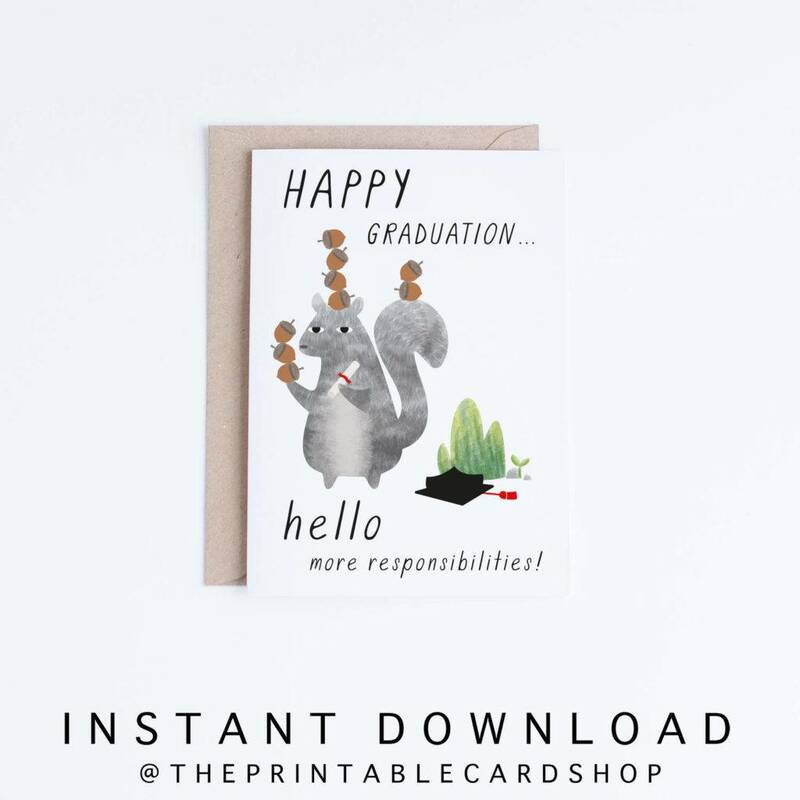 Since you are aware that you are working with an experienced graphic artist and a content writer, there might be times where your plans have to be furnished as per their suggestions. They are the experts in their field and they know if your plan is weaved with countless of faults. Listen carefully to their pieces of advice and never mistake these pieces of advice as an insult. Be a team player and coordinate with their ideas rather than just be blinded by yours. 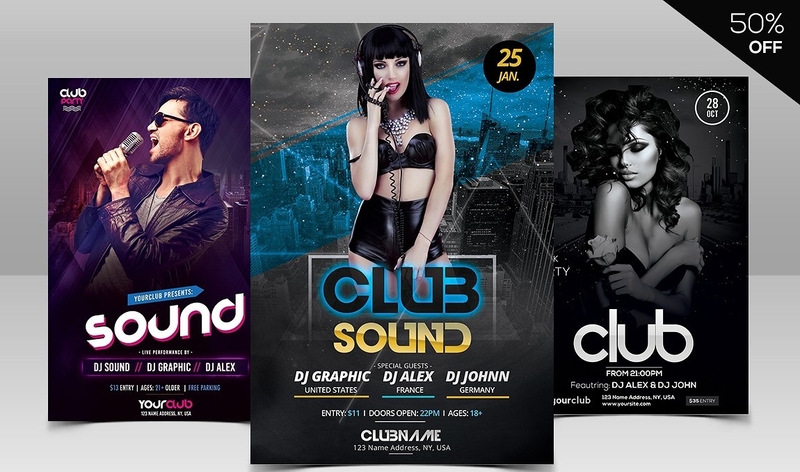 Through this, you will be aware of the limits in creating a flyer and make you craft them easily the next time your company plans to produce another set of club flyers should there be a special event in your club. 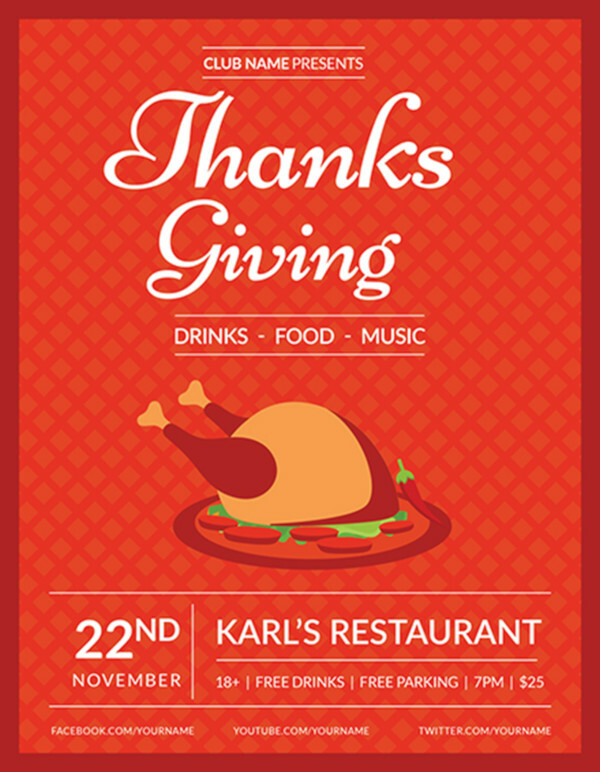 The cohesion of flyer elements must never be disregarded. Cohesion is the ultimate key to developing any business projects. 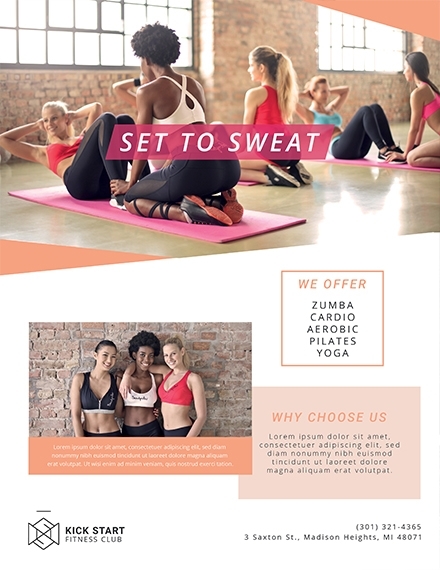 All of the elements must relate to the different types of the audience at the same time retain its relevance to what is being promoted in your flyer. If you think there is a need for the team to revise the output, do it. Before distributing your flyers on social media sites, your company website, sending them through email, and through physical distribution, you have to carefully review your output. This eliminates all the loops of fault. This, too, guarantees the effectiveness of your flyer. The output needs to be flawless and if you think it’s not, never hesitate to invest so much time in it and do all the necessary revisions. Flyers can be easily underestimated given that they are merely papers and that our lifestyles revolve mostly around technologies. But, if their effectiveness has waned through time why do you think big business still utilize this? What’s there not to like about flyers? They’re cheap and guarantee you more than a return on investment.